Disparate Bodies is a group show that presents work in a variety of media and revolves around explorations and conceptions of the Body – through its relation to being human, ideas of reassessing the self and identity, and implications arising from displacement. 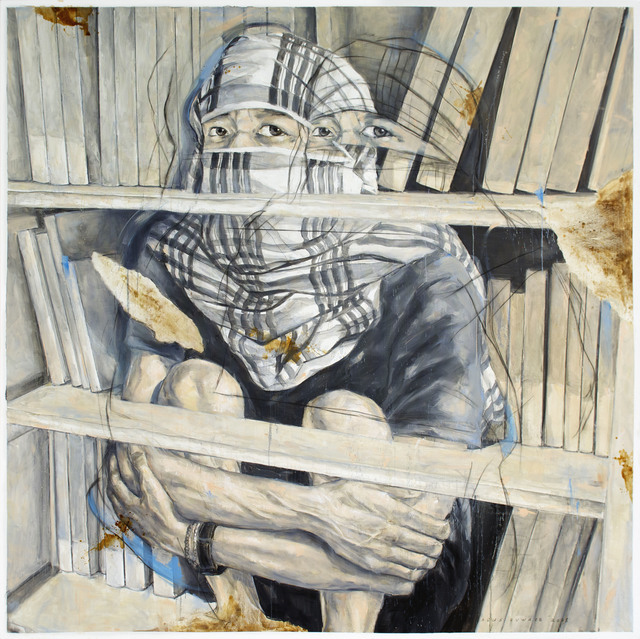 Yavuz Gallery is proud to present Disparate Bodies, a group exhibition featuring internationally-acclaimed Southeast Asian artists: Agus Suwage, Mella Jaarsma, and J. Ariadhitya Pramuhendra from Indonesia; BenCab and Isabel and Alfredo Aquilizan from the Philippines; Pinaree Sanpitak from Thailand. This exhibition presents work in a variety of media and revolves around explorations and conceptions of the Body – through its relation to being human, ideas of reassessing the self and identity, and implications arising from displacement and dispersed presence. 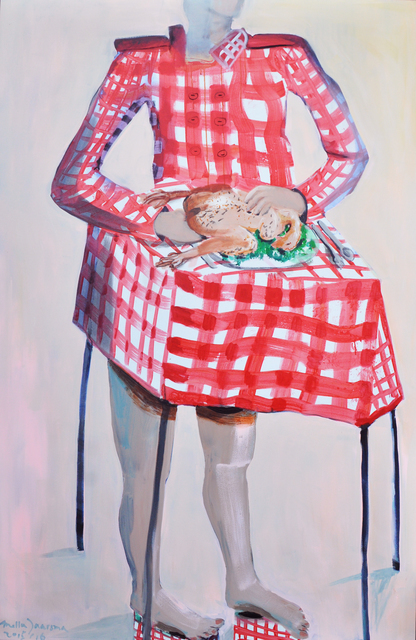 In a similar vein, Mella Jaarsma questions the positioning of self and identity, but in the context of cultural and racial signifiers embedded within clothing, the body and food. 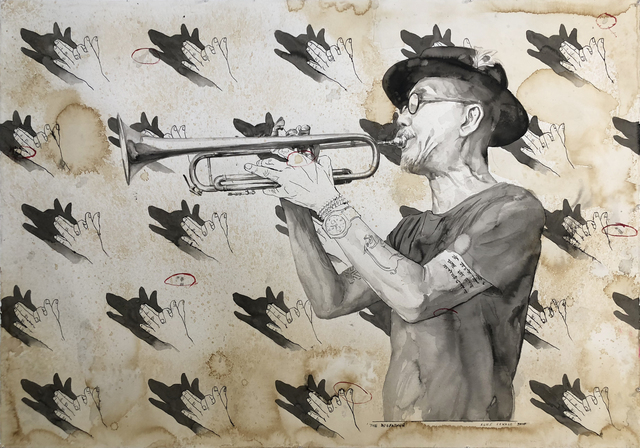 Born in the Netherlands and based in Indonesia since the 1980s, Jaarsma’s critical practice interrogates the stereotypes and performativity of complex, hybrid identities. 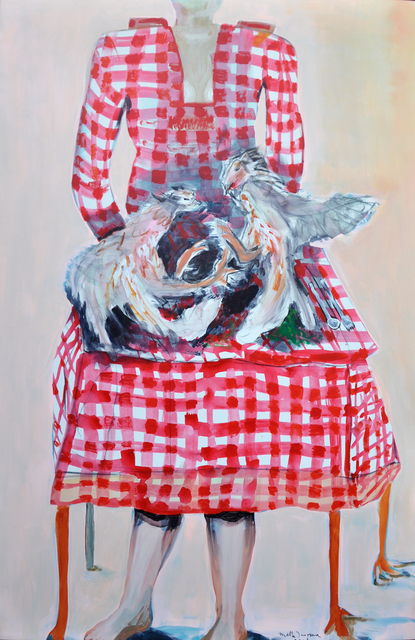 In The Pecking Order, Jaarsma inverts and plays with the titular phrase, by producing costumes and paintings that refer to the animal most literally associated with a pecking order: the chicken. The costumes, created from chicken leather and stuffed chickens, functions as both a dress and a table to explore social organisation and hierarchies, blurring the binary division between an oppressor and the oppressed. Pinaree Sanpitak’s practice similarly revolves around the human body, concentrating on the powerful and tender experience of being female and a mother. 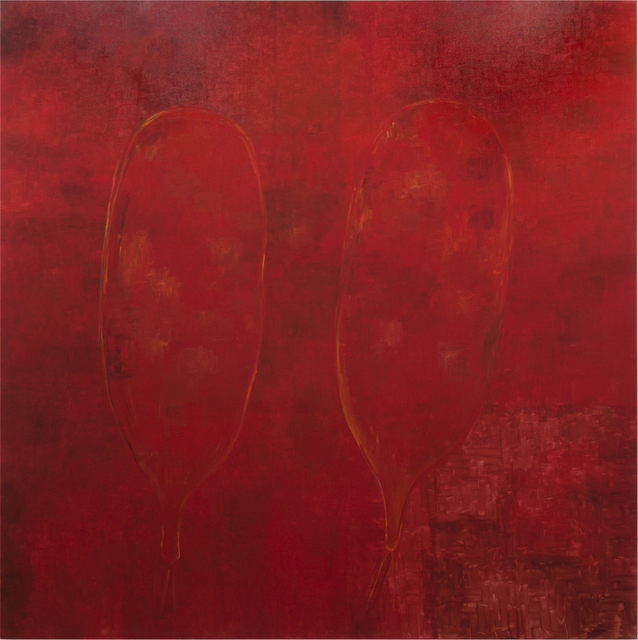 Her vibrant painting Two Red Breasts, marks a change from her monochromatic works. For well over 20 years, Sanpitak’s primary inspiration has been the female body, distilled to its most primal, basic forms: the vessel and the mound. 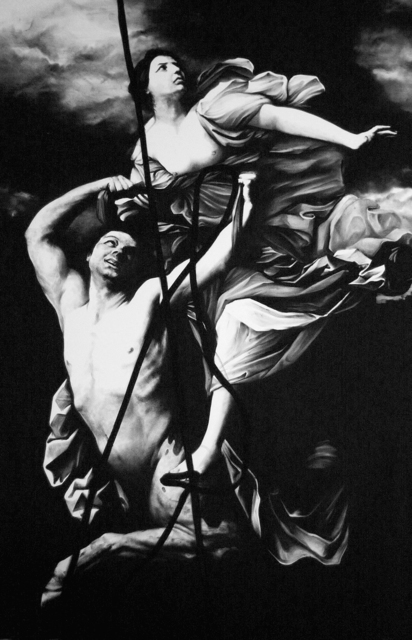 The female breast has been a recurring motif in her considerable practice, which was brought about after the birth of her only son. Sanpitak is also often called a feminist or Buddhist artist, but she resists such easy categorisations, preferring to let her work speak to each viewer directly, through the most basic language of form, colour, and texture. In celebration of the opening of Disparate Bodies, Mella Jaarsma will be presenting The Pecking Order, an hour and a half long performance at the gallery.